--A Montagnard prisoner describing his ten-hour work days at Nam Ha Prison. "Vietnam: Torture and Abuse of Political and Religious Prisoners," Campaign to Abolish Torture in Vietnam, 2014. 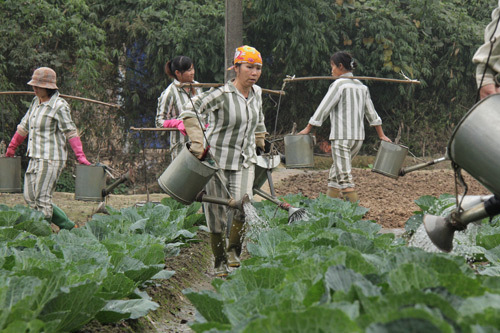 All convicted prisoners in Vietnam, as well as detainees in re-education centers, are required to work eight hours a day without pay, primarily doing agricultural and manufacturing work. 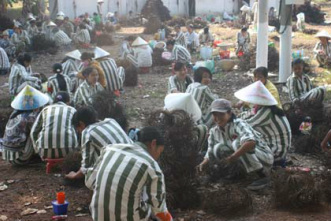 Manual labor is obligatory for convicted prisoners in Vietnam, regardless of whether they have been sentenced for political and religious reasons. This is in violation of the ILO’s Convention on the Abolition of Forced Labor (No. 105), which prohibits forced or compulsory labor of prisoners convicted of political offenses or because of racial, social, national, or religious discrimination. 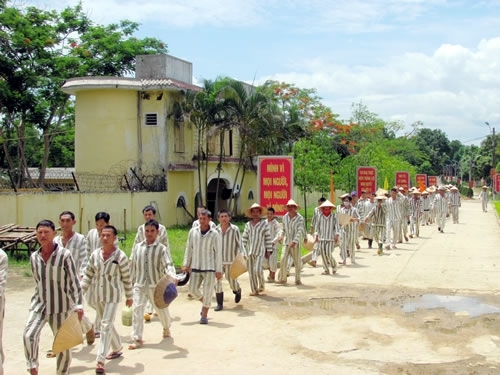 Vietnamese political and religious prisoners who have tried to protest forced labor requirements have been harshly punished. The use of forced labor by detainees in re-education centers (and drug detention centers) also violates ILO Convention No. 29. Ratified by Vietnam in 2007, the convention prohibits the use of forced labor by detainees who have not been convicted in a court of law. Those unable to meet forced labor quotas, even due to illness or fatigue—as well as those who raise concerns about prison conditions and mistreatment of prisoners—are punished by being put in isolation in dark cells for weeks or even months at a time. 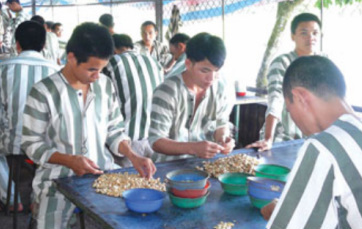 Cashew processing at Cai Tau Prison in Ca Mau. “We went to work every day, walking 10 kilometers each way. We worked from 6:30 am to 5 pm, usually with a mid-day break. 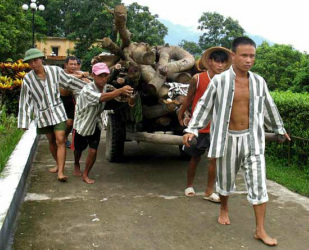 “We cut down trees to plant corn, cassava, and watermelon. We also planted rubber and cashew trees. When the cashews were ripe we picked the fruit. “I did not get sick from picking cashews; I got sick from overwork. “The crops were not for the prisoners but sold to others. Prisoners can’t eat the crops. If we eat [the crops], they beat us. “We also carved dry fish, provided from a factory, to make it look like a rose or an apple. The prisoners would work on this; the guards would get the money. “We also embroidered flowers on pillow cases. If we do it right, okay. If we do it wrong or mess it up, we have to pay for it. Sometimes I could not see well enough to embroider—my family was forced to provide money to replace what I had ruined.